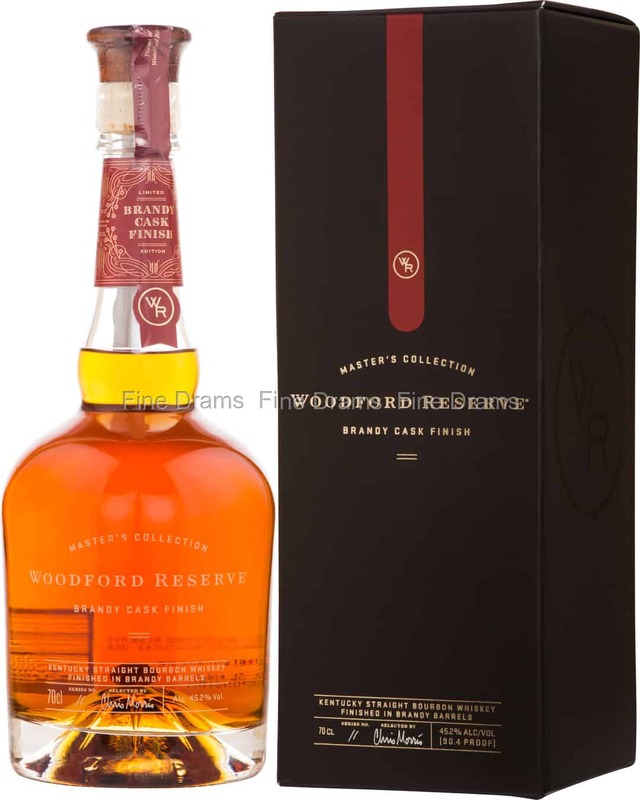 This delicious Woodford Reserve whiskey is said to be the first ever Bourbon to be finished in Brandy Casks. This bottling forms part of the brand’s experimental Master’s Collection, which offers drinkers the chance to taste the distillery’s spirit in varieties not yet encountered. This expression is the 11th release in the range. Woodford claim that the finishing process has not added any flavours to the whiskey, but rather accentuates the natural nutty and dried fruit notes developed through the distillery’s fermentation process and mashbill. In any case, this whisky offers notes of dark chocolate, dried fruits, toasted coconut and almonds, some white grape flavours, a touch of wood spice, hazelnuts, dark oak, cranberry, caramel and vanilla. Bottled at the higher proof of 45.2% ABV, this is a warming, luscious dram.